You probably know that the Green tea is one of the best natural antioxidants. It has a high flavonoid content, which makes it an excellent drink to fight diseases, premature aging, free radicals and to lose weight. There are many ways to take green tea to burn fat and lose weight. Below, you will read about the most popular way. 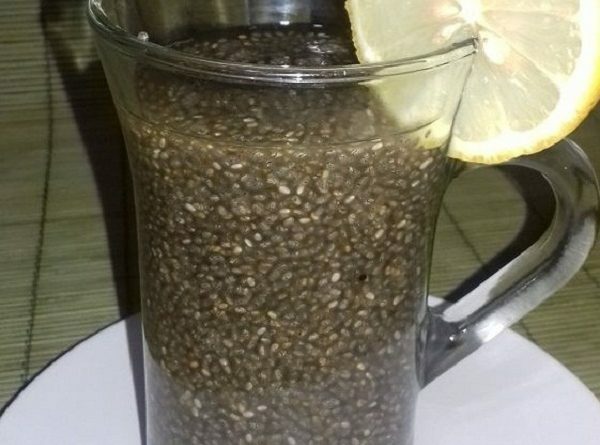 You will read how to make energy & weight loss drink with green tea and chia seeds. Let tea steep 3 – 5 minutes, then remove tea bag. Add chia seeds and mix thoroughly. This weight loss drink acts as a potent diuretic that prevents fluid retention and promotes the elimination of toxins. If you have a problem with constipation, the best time to drink it is before sleeping. In the morning you will clean everything accumulated in your colon.